A MUST SEE! 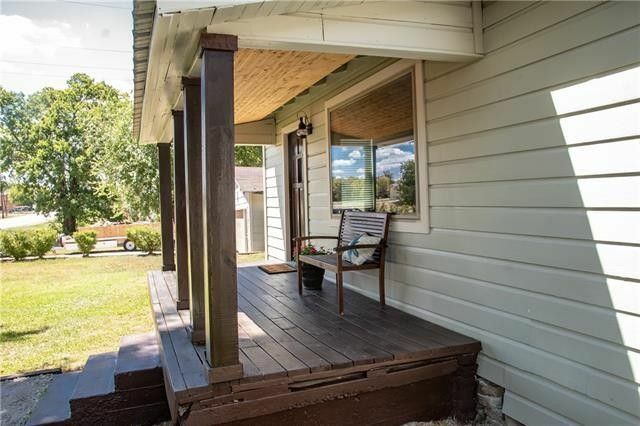 Completely renovated 3 bedrooms, 2 full baths home with open layout from kitchen to living areas. Kitchen features white cabinets, eat in island, farm sink, and granite counter top. Mudroom with barn door entrance, also has an entry door that can lead your way to the garage or backyard. Brand new HVAC system, new electrical wiring and Energy Efficient Foam Insulation in walls, ceiling and underneath the floors. New carpet, paint and ceramic tile. Original wood floors in living area, kitchen, bedrooms and mudroom. Huge fenced backyard with Pecan trees and detached garage. SqFt measurement comes from Survey as there were room additions done by previous owner. Closing should be after Oct 6, 2018. Directions: From TX160 or Bond St travel East on Grand St (Downtown Whitewright) crossing over the rail tracks , 2nd Property on the Left.